A career as a travel nurse can be very fulfilling – and exciting. Travel nurses get to travel the country, exploring new cities, and meeting new friends along the way. Assignments can last anywhere from 4 – 13 weeks on average, leaving you lots of time to see the sites, sample the cuisine, and become familiar with local culture. Plus, an experienced nurse has their pick of cities – can you think of any other profession that allows you to visit all the places on your bucket list, and get paid to do it? 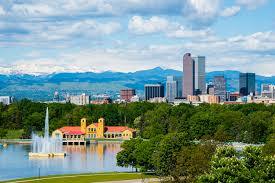 Denver is truly one of the most beautiful cities you could ever visit. Surrounded by natural beauty, there isn’t any place better for getting outside either summer or winter. There are countless opportunities for enjoying the temperate weather and abundant outdoor activities. Plus you can drop by and visit SOS Healtcare in person! Need a beach for the summer? 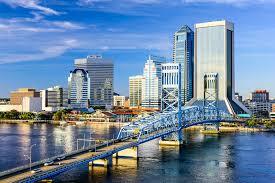 Jacksonville, Florida is a great place for travel nurses! Sink your toes into Jacksonville’s sandy beaches. Explore our abundant waterways. Shop and dine in eclectic neighborhoods. Play on the golf course or relax poolside. Stretches of stunning beaches and waterways, the largest urban park system in the country, extraordinary cultural and historical spots, and experiences that engross the mind, body, and inner adventurer lure you to experience Jacksonville. Travel nurse work prospects can check out this Cath Lab opportunity in Jacksonville. 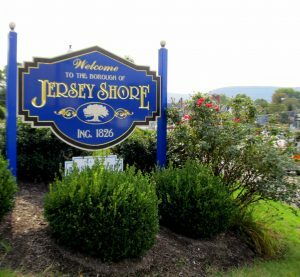 No, not that Jersey Shore! This borough is located on the west branch of the Susquehanna River. You can visit surrounding mountains, hike or bike a 65-mile trail along scenic Pine Creek or fish and hunt in nearby state parks and forests. Also just a short drive from South Williamsport, where the Little League World Series is played every August. Travel nurse work prospects can check out this ER Nurse opportunity in Jersey Shore. Welc ome to the Oasis in the desert – Twentynine Palms California. Home of Joshua Tree National Park and the worlds largest Marine Corps training base Renowned for its world class murals and artists, pristine air, beautiful natural surroundings, desert and mountain vistas, and friendly family lifestyle. Travel nurse work prospects can check out this Physical Therapy opportunity in Twentynine Palms. Looking for more of an east coast vibe? Danville is the perfect destination. Situated in Northeastern Pennsylvania on the north bank of the North branch of the Susquehanna River. Surrounded by low mountain ridges of the Appalachian range. 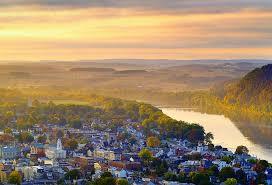 Travel nurse work prospects can check out this Med-Surgical Nurse opportunity in Pennsylvania. No matter where you end up this summer, you’re sure to have a great time! 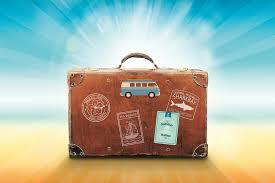 Being a travel nurse affords the perfect opportunity to learn some new skills and take a fun trip, all in one shot. Working with the experienced staff at SOS Healthcare Staffing, we can find you the perfect travel nursing position for your skills. We take care of all of the details, you get to show up to work in your new location and start sampling the culture of a new city. National Nurses Day is celebrated every year on May 6 and marks the beginning of National Nurses Week, which ends on May 12. The goal? To raise awareness of this invaluable vocation. Voted the most trusted profession for 16 years running, nurses act as patient advocates, caregivers, educators, and even friends. Without nurses, hospitals and medical centers would not be able to provide the care that they do – they are truly the heart and soul of healthcare. RNs make up most of the nursing profession, and to become one is no small feat. There are several paths that a potential RN may follow, but they all require, at minimum, three years of fulltime schooling. It is common to commit four years to obtain a bachelor’s degree, and many nurses choose to further their education by gaining a certification in a specialized field, such as pediatrics or oncology. In addition, all nurses must pass a national licensing exam and are required to take yearly continuing education courses (the total number of hours vary, depending on the nurse’s particular employment details). Most nurses who work full time can expect to receive benefits, including health insurance, dental insurance and prescription drug coverage. Some employers will even provide a retirement plan, such as a 401(k), cover the cost of continuing education, and provide paid vacation. Of course, like any other profession, the quality of benefits varies greatly from place-to-place. A job in a large hospital will likely provide better benefits than one in a small-town doctor’s office, and some employers may not provide benefits at all. According to the Bureau of Labor Statistics the median yearly pay for registered nurses nationwide in 2017 was $70,000. This means that half of all nurses made more than that, and half made less. The highest reported average hourly wage ($43.51) was in pharmaceutical manufacturing, and the lowest ($31.59) was at nursing care facilities. Nurses in California got paid the most ($49.37/hour) and those in South Dakota received the least pay ($27.41/hour). Due to a long-running nursing shortage in the U.S., RNs continue to be in high demand. According to InnovatorsGuide.org employment of registered nurses is expected to grow 19% from 2012 – 2022 – much faster than the average for all other occupations. This means that employers are in desperate need of qualified workers, leaving many interesting and diverse opportunities open for those interested. One of the best things about being a nurse is the job’s flexibility. Not only is work available in virtually any city you may want to visit, but also in a variety of facilities. For example, whether you want to work in a hospital or a doctor’s office, a school or a nursing care center, opportunities abound. With flexible hours and variable workdays, nursing allows you to find the time to pursue other activities, like time away or continued schooling, if you feel like it. Working with a company like SOS Healthcare Staffing can be advantageous if you want to try difference regions and types of practices. 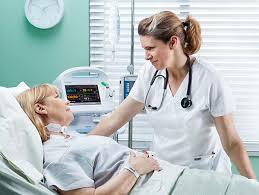 We have clients in all areas needing particularly skilled nurses. To explore deeper issues in the nursing field, consider registering today for the National Nurses Week Webinar. Topics covered will include identifying technological trends in healthcare, understanding the impact of technology on your nursing practice, and recognizing what you need to do to adapt. Happy Nurses Week! We celebrate the Inspiration, Innovation and Influence Nurses have in the world!